A bid made early this month by IBM to acquire Merge Healthcare could radically change the practice of medicine. Its effects might take shape through the first practical applications of artificial intelligence -- not in the diagnosis of disease, at least not at first, but in the streamlining of care. In major league baseball, batters take less time to decide whether to swing at a pitch than they do to blink. 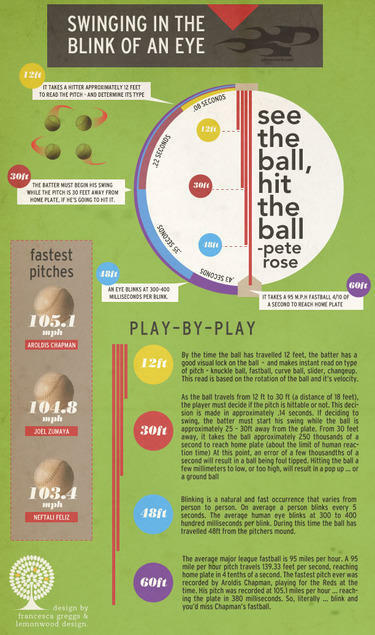 They observe, interpret, evaluate and decide, all in fractions of a second: reading the seams of the ball eight hundredths of a second after it leaves the pitcher’s hand; determining the type of pitch – knuckle ball, fastball, curveball, slider; deciding whether it can be hit .22 seconds later; starting to swing, when the ball is only half way between the mound and home plate. Total elapsed time: 0.3 second. Physicians have longer to form an opinion. But they have less room for error. For them, the count never goes to 3 and 2. They get one shot at a correct diagnosis. A takeover bid made early this month by IBM could go a long way toward improving their odds of getting it right. If it does, it will be by leveraging of the same processes that MLB batters use. Big Blue wants to buy Merge Healthcare, a vendor of radiology information systems and picture archiving and communications systems. The $1 billion cash deal is being driven not by the revenues Merge might add to IBM’s balance sheet but the imaging assets the deal would bring. Some of those assets are software for managing medical images. But of greater significance is access to the billions of medical images that Merge might provide through its installed base of 7,500 healthcare customers. The images potentially available through hospitals, clinical research sites, pharmaceutical companies could comprise a critical part of the clinical expertise and data IBM wants to use to develop artificial intelligence as part of Watson Health, a derivative of the AI platform that gained international prominence as a Jeopardy contestant. The Jeopardy gig demonstrated to the world how computers can function in the real world. As a platform with wide ranging possibilities in business and medicine, Watson is being groomed to mirror the thought processes of people – observing, interpreting, evaluating and deciding. If the deal with Merge goes through, Watson could use the billions of medical images available through Merge to learn how to identify the radiological hallmarks of disease – the earliest appearance of cancer tumors; the telltale signs of coronary artery disease. It is highly improbable that physicians would ever delegate their authority to a machine, regardless of how well Watson might perform. But AI could, with adequate training and development, tee up clinical results for those physicians, turning average radiologists, cardiologists, orthopedists into expert diagnosticians. So too might Watson assist in presurgical planning, right-sizing prosthetics; planning trajectories that incur the least collateral damage when going after masses nestled amid critical structures; even guiding surgical instruments. Already some of these tasks are being performed to some degree by much less sophisticated software. Possibly even in the nearer term is a potential that could have an effect on the practice of medicine even more important than these but far less obvious – the role AI might play in streamlining the archival of medical images. IT vendors now are building and selling vendor neutral archives as comprehensive storage systems for compiling medical images. These VNAs are especially attractive to healthcare providers that have multiple, “best of breed” health information systems, particularly those whose systems are nearing obsolescence. Such best of breeds are designed for specific applications, for example, the storage and processing of MR and CT images obtained in the radiology department, digital radiographs in orthopedics, cardiac cath images in cardiology, sonograms in obstetrics and gynecology. In the run up to the present, these information systems proliferated, each matched to the specific demands of the departments in which they were installed. Now hospital execs want these departments to work more closely, to share data, and to do so efficiently. The question is how, when each has operated and installed separate IT systems. The task is complicated when expanded across the healthcare enterprise to include affiliated outpatient clinics, other hospitals in the chain, or family practices, many of which gather their own sonograms and digital radiographs. Analytic software is being designed to help VNAs sort through the individual archives, identifying and classifying medical images from diverse sources, even migrating these images to a single private cloud. The challenges are formidable…and extraordinarily well-suited to artificial intelligence. An AI platform, using deep learning to pattern match, might orchestrate the migration of multiple and diverse images spread over various systems and archives to a VNA; keep track of their locations and the data describing them; then – when the VNA is functioning – serve as a traffic cop, channeling images to wherever they need to be efficiently and effectively. And there’s more. Once skilled in identifying and gathering medical images, such a platform might be called upon to mine images for data useful to researchers trying to delineate the early stages of disease processes, recognizing disease patterns in images, selecting and grouping images according to certain parameters. What might be accomplished in effort saved and insights gained may be hard to fathom. In these ways, even before AI takes a stab at making a diagnosis, Watson – and platforms like it – might substantially influence medicine. For AI to succeed, it must correctly interpret and act on patterns in fractions of a second…just as people do.